The World Needs A Hero. How About 100+? I almost missed the Warner Bros. booth that was buried in the middle of South Hall at this year's E3. The only thing that made its presence known was the secretive and well-guarded section for Batman: Arkham Origins. However, if you made your way around the perimeter, you would suddenly be confronted by two LEGO statues from the Chima series, built from at least 10,000 LEGOs a piece. Behind that was a mural for LEGO Marvel Super Heroes. That was my destination. With a few dedicated stations and a very helpful Warner Bros. representative, I was able to get some good hands-on time with Marvel's finest. 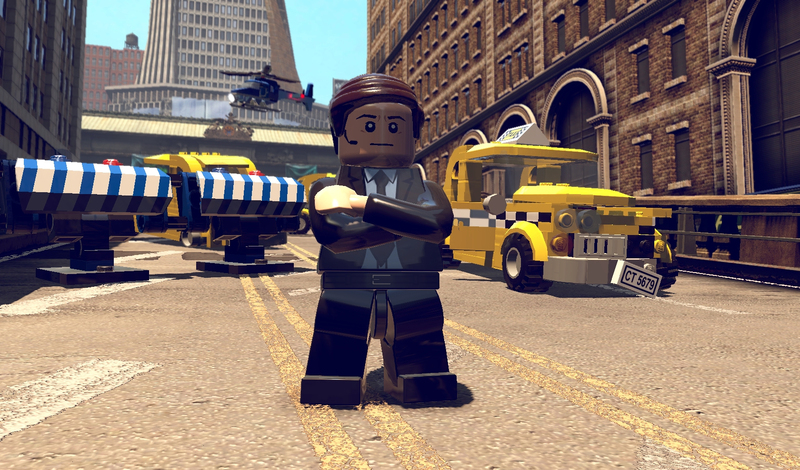 If you've played any LEGO game before, you'll immediately be able to pick up the game and have the controls down pat. 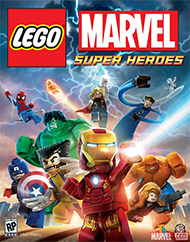 Adventuring through the story, you'll play with a total of twenty-five superheroes, using specific powers to thwart the menial puzzles blocking your progress and collecting an ungodly amount of studs in the process. For the Marvel Universe, a completely original story has been penned with Loki and Galactus as the main antagonists. In this iteration, the Silver Surfer's surfboard has been shattered into Cosmic Bricks, and our heroes must obtain these shards before Galactus and his lackeys do. The twenty-five playable characters across the story range from The Avengers, to Spider-Man, to the X-Men, and to plenty more. These characters become unlocked for Free Play when the level in which they are introduced is completed. There are fifteen levels in total, and it looks as though they follow a more linear path than the open-world design of LEGO Batman 2: DC Super Heroes. However, there are still plenty of unique locations to visit, from Asgard to Grand Central Station in New York City. Warner Bros. and developer TT Games have taken great care in including as many unique super powers as possible while still keeping them within the confines of general abilities used to solve puzzles. 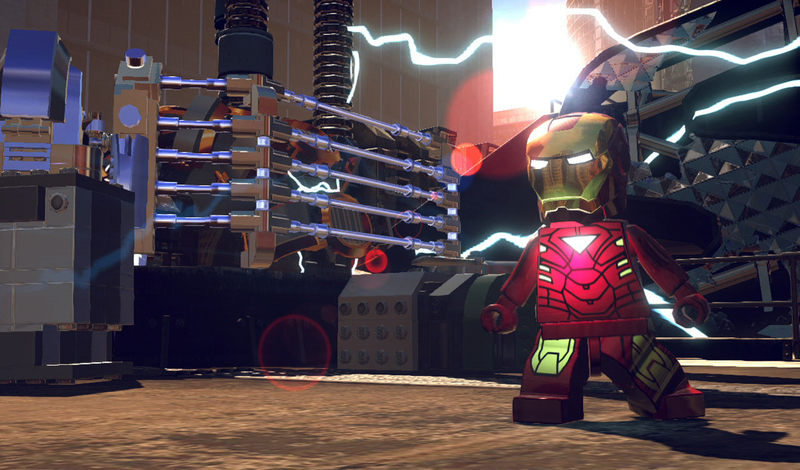 Iron Man can fly, Spider-Man can web sling and use his Spidey Sense, and Thor can launch his hammer, Mjolnir. Other characters, such as the Hulk, are more versatile. Along with his incredible strength, he can morph back into Bruce Banner at any time (with a smooth and incredibly hilarious animation sequence), where his genius human form can access computer stations. 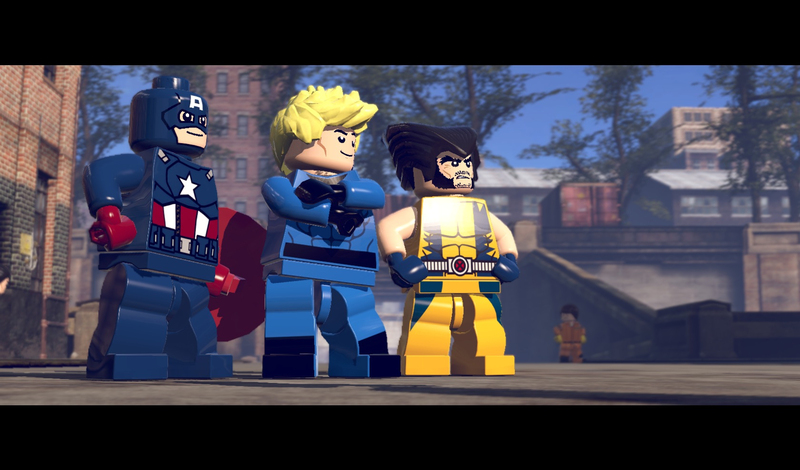 Every character is well represented, and I can easily say that more detail and personality have been given to the Marvel crew than the DC heroes from past LEGO comic-book spoofs. Returning to each level in Free Play mode, you can take two characters, or let a friend play as one in local co-op. After spending spuds to unlock over a hundred heroes and villains, you'll be able to access many areas previously locked in the story mode. Many of these secret areas hold a coveted Red Brick, which allows you to switch on cheats and other game-changing effects. Studs can also be used to purchase various vehicles to blast around in. 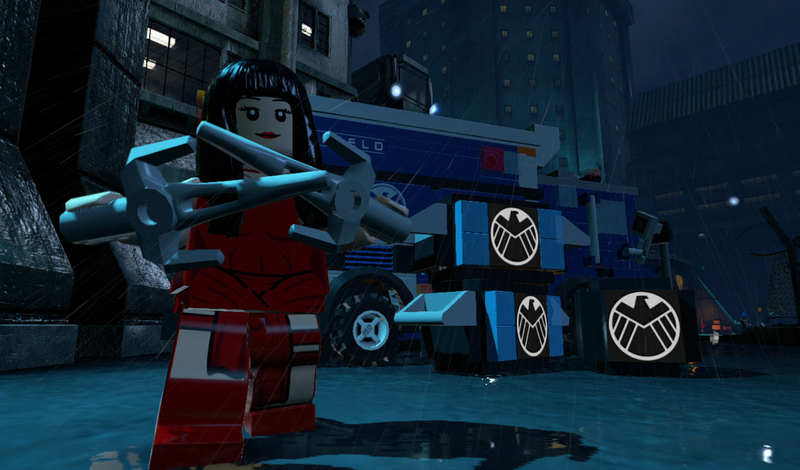 Like other recent LEGO titles, Marvel Super Heroes is fully voice acted, and it has a script that blends comedy with a dire situation to make sure you don't take the game too seriously. 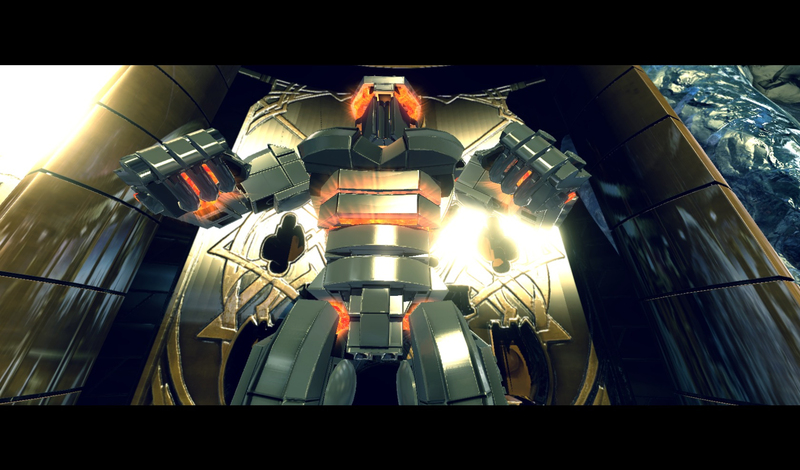 The visuals are somewhat regurgitated from TT Games' archives, but there are still plenty of interesting settings to behold, and the animations are stellar (you'll want to fly Iron Man around for hours). It will be interesting to see if there is a drastic change in quality between the current- and next-gen versions. Wii U owners will get a couple of GamePad specific extras. In the NYC hub you can set waypoints on the map that will reveal a stud trail to guide you to your destination. Also, in co-op mode, one player will use the GamePad screen while the other uses the television—there’s no split-screen required. I was also told that the PS Vita and 3DS versions will be completely different from past designs, which I am very thankful for, since the watered down portable games as of late have been nothing but disappointments. There is also a DS version, though it will be released after the initial launch. 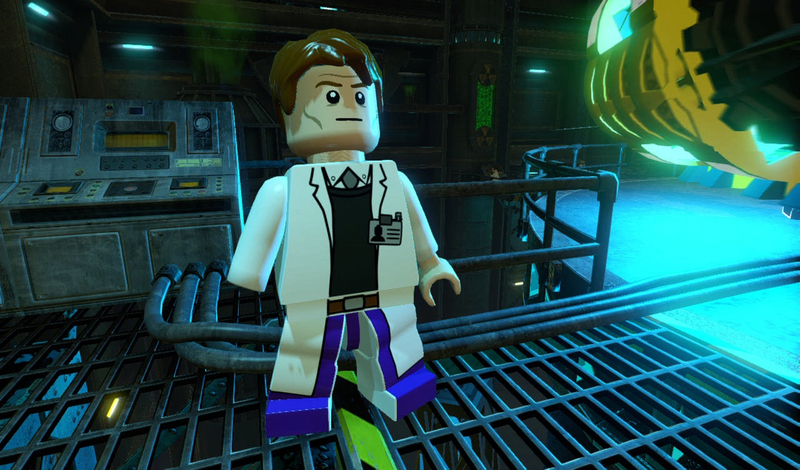 The LEGO video game franchise continues its trek of mocking popular franchises while maintaining a steady gameplay formula. 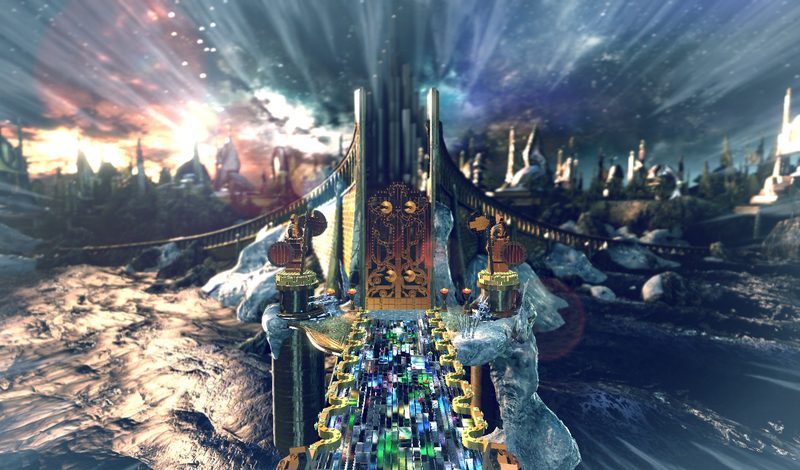 The revolutions with each new title may be small, but the market is still lucrative for Warner Bros. and TT Games as many gamers still pick up LEGO video games as a guilty pleasure. 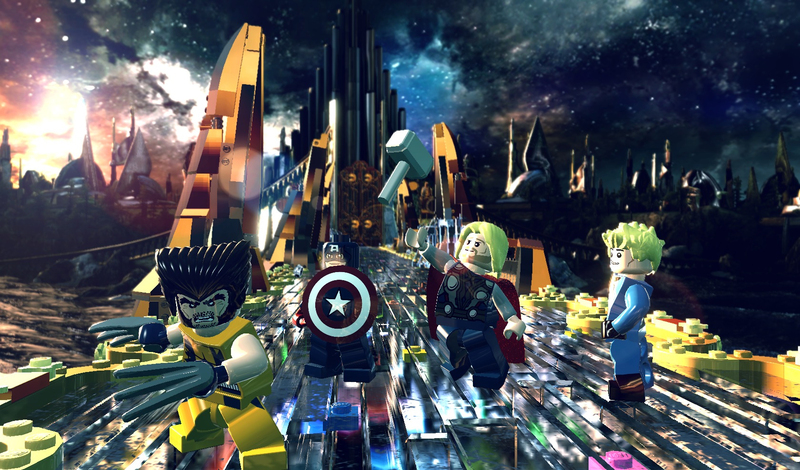 Lots of gamers also love comic books, so the success of LEGO Marvel Super Heroes is pretty much locked in. Look for your next stud-collecting fix to hit store shelves in just a few months. An original storyline in which Nick Fury calls upon Iron Man, the Hulk, Thor, Spider-Man, Wolverine and other heroes spanning the Marvel Universe to save Earth from such threats as the vengeance of Loki and the hunger of Galactus, Devourer of Worlds. 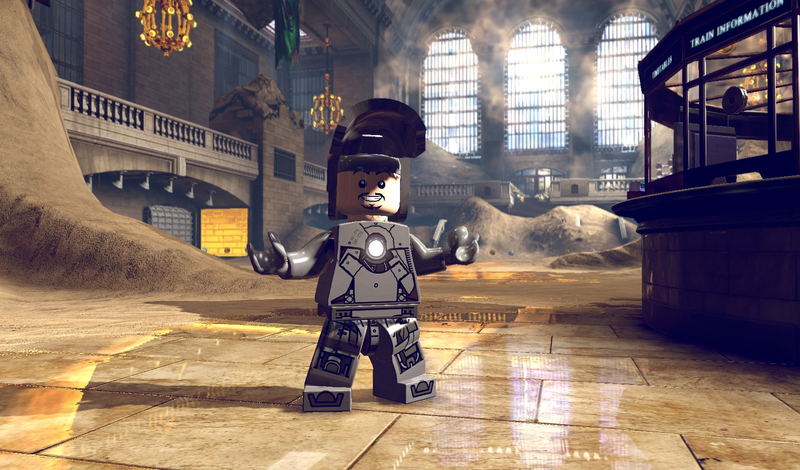 Brave the ultimate mission to save the world as you explore famous landmarks in LEGO New York and take the adventure beyond Earth to iconic locations in the Marvel Universe. Unlock more than 100 characters from across the Marvel Universe, including fan favorites like Spider-Man, Iron Man, Wolverine, Captain America, the Hulk, Thor, Black Widow, Hawkeye, Deadpool, Loki and Galactus! 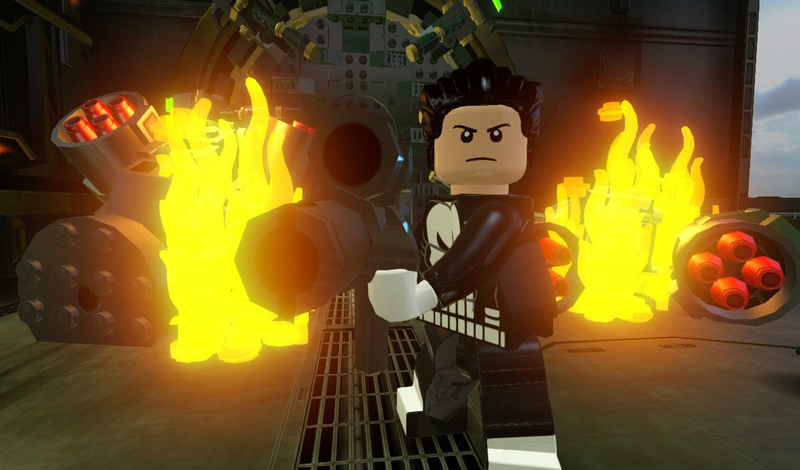 The game will pack in a plethora of super-cool character abilities, combat-like action sequences, epic battle scenes, puzzle-solving, and a unique story told with playful LEGO humor.